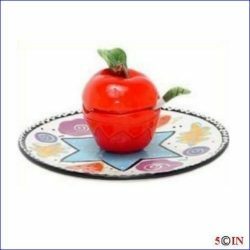 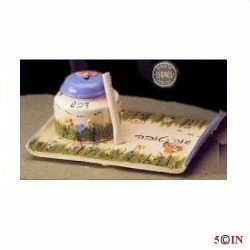 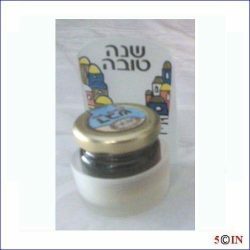 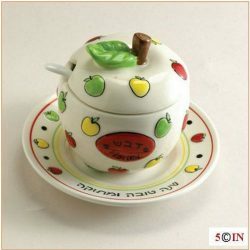 ROSH HASHANAH CERAMIC HONEY DISH WITH REAL HONEY. 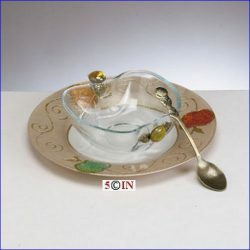 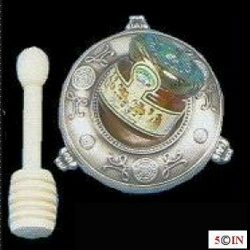 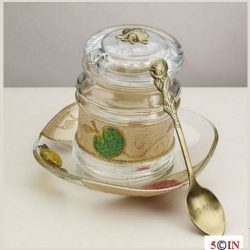 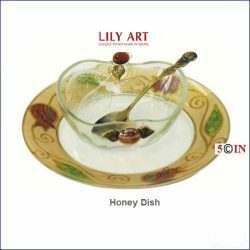 Honey Dish with Small Plate. 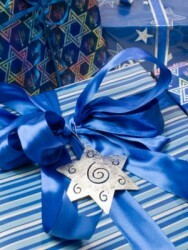 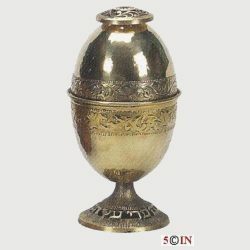 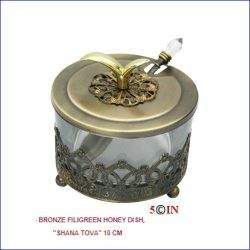 Rosh Hashanah Jewish New Year Bronze Filigree Honey Dish "Shana Tova"